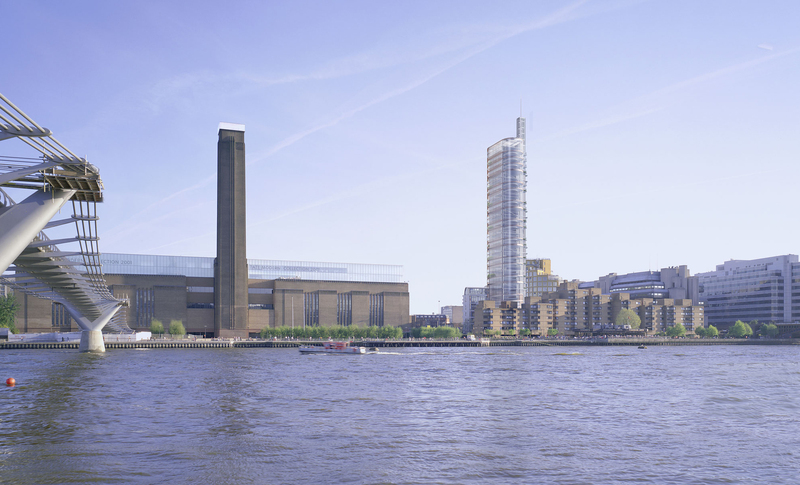 We worked at the vast scale of the Power Station and designed a shimmering glass tower so slender that it replicates the height and width of the Tate’s emblematic chimney stack, a beacon at its the entrance. Only one third of the air space above the site is used for the tower minimising overshadowing. 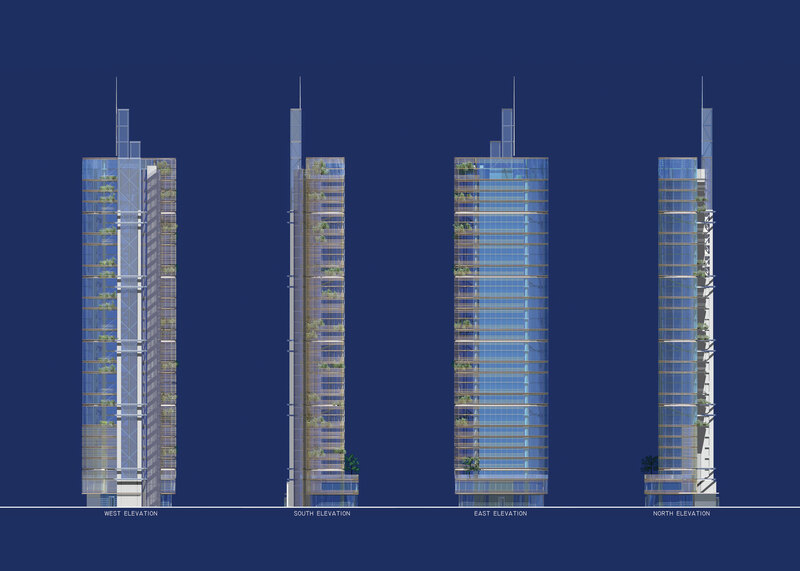 A building of this extreme slenderness sets itself apart from any average building. To our minds this represents a suitable response to the proximity of a great Art Institution and a standard bearer for dynamic new architecture that we hoped would spring up in this post-industrial landscape around the new Tate. 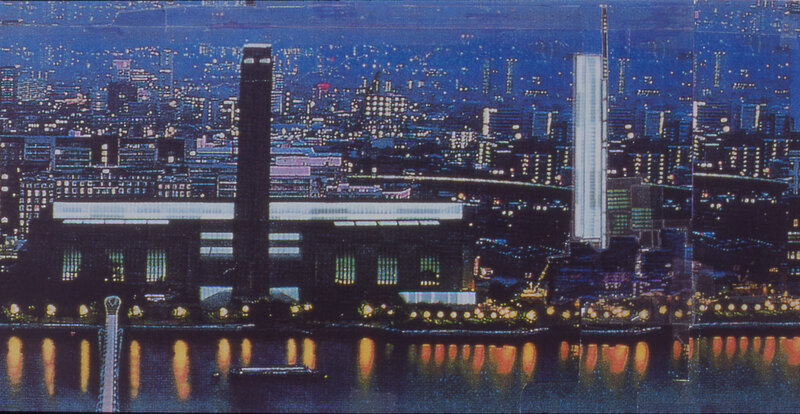 The Tate Modern was publically funded to spearhead the regeneration of the derelict Bankside area opposite St Pauls. Our small site is next to the Tate’s ‘front door’ – the ramped entrance to the giant Turbine Hall. Fed Manson, the visionary Southwark director of development is concerned about the deadening impact of large institutions on their immediate public spaces. He encourages our public realm improvements that include giving half of the site to public space and the majority of the rest to a public restaurant that spills out and activates the empty piazza that sits between our site and the sealed off glazed walls of the Tate’s restaurant. From the ground the curved ends of the building frame the view of the Tate’s chimney for pedestrians approaching from the West and create a calibrated and dramatic urban transition from the local square to the grand Tate itself. The building is thirty two storeys high and contains 16 large private units and 16 social housing units. Alternating the double height living rooms with single floor apartments modifies the transparency of the building and creates rhythm. The North facades with views to St Paul’s are fully glazed. The southern facades are shaded with fire-proofed timber louvres and contain open private garden terraces. To cope with the extreme slenderness of the building, stabilizing out-riggers designed by Expedition engineering were connected to the main service core. The tower, by virtue of its orientation, shading and high insulation, is a low energy building that relies for heating and cooling on the distributing of ground water through pipework cast into its concrete structure. 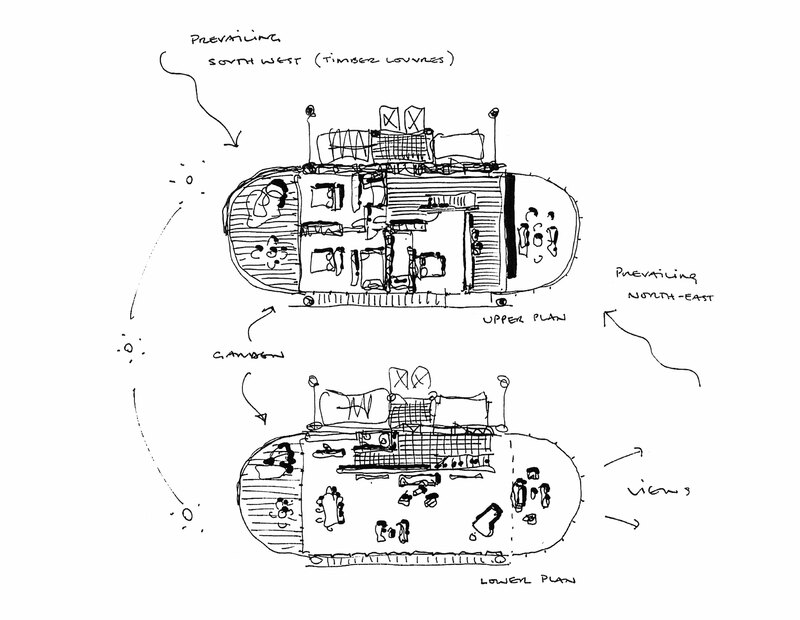 In the event although receiving planning permission its construction was blocked by local interests. The site is now left as an empty grassy mound and the majority of the surrounding new buildings are vast and without scale or reference.